This new sovereign nation set up by one man has many people rushing to become its citizens as it has its own flag, constitution, Facebook page and its motto as: "To live and let live". Czech man Vit Jedlicka has claimed a 7km2 stretch of land on the west bank of the Danube river as the Free Republic of Liberland, after disputes between Serbia and Croatia rendered it technically no man's land. It's no half-assed attempted at nation formation either – Liberland already has a constitution, flag, coat of arms, official website, Facebook page and a motto: "To live and let live". 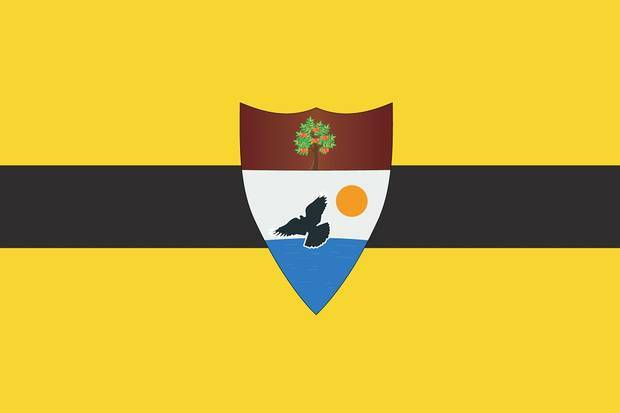 Liberland "prides itself on personal and economic freedom of its people, with its constitution seeking to "significantly limits the power of politicians [to] interfere too much in the freedoms of the Liberland nation." We have just received endorsement for our activities from Austrian ambassador. We are on good way to establish special political relations with this country. Jedlicka (still an unelected President) called for 5,000 people to become part of the new sovereign state, located on terra nullius at 45° 46′ N, 18° 52′ E, but 160,000 people ended up applying, according to Geek.com, leading him and seven volunteers to sift through registrations. Liberland is looking for people who "have respect for other people and respect the opinions of others, regardless of their race, ethnicity, orientation, or religion," and "do not have communist, nazi or other extremist past". The state's Facebook page is growing fast, where people are beginning to thrash out a rudimentary currency system.